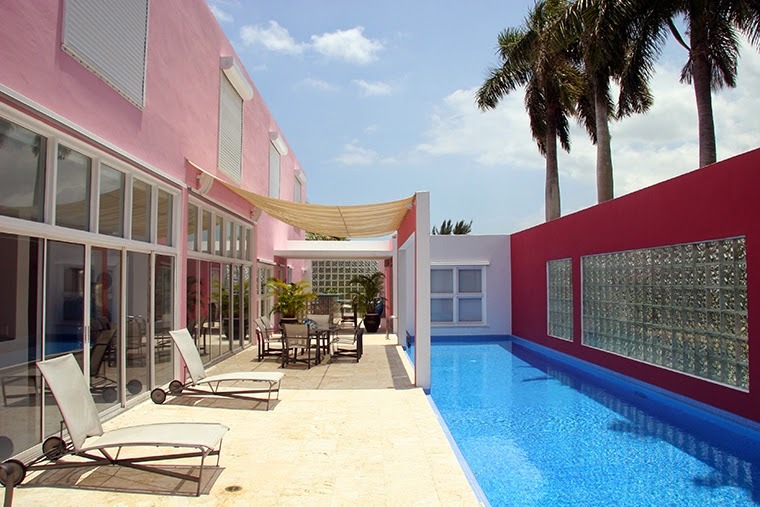 This week’s House of the Week is called the Pink House and it was designed by Miami-based husband-and-wife team Arquitectonica (Laurinda Spear and Bernardo Fort-Brescia) between 1976 and 1979. 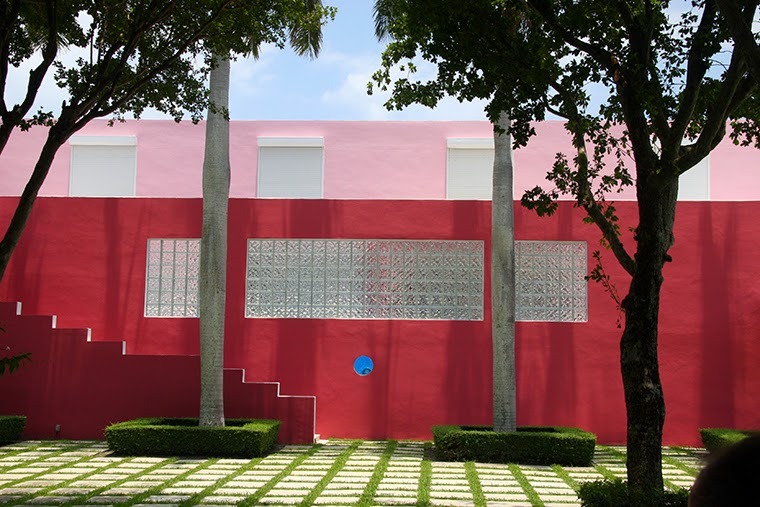 The house brought a new era of architecture to Miami inspired by the Art Deco and Modernist heritage of the city, and it ended the long period in which architects spurned the use of vibrant colours in the tropics. 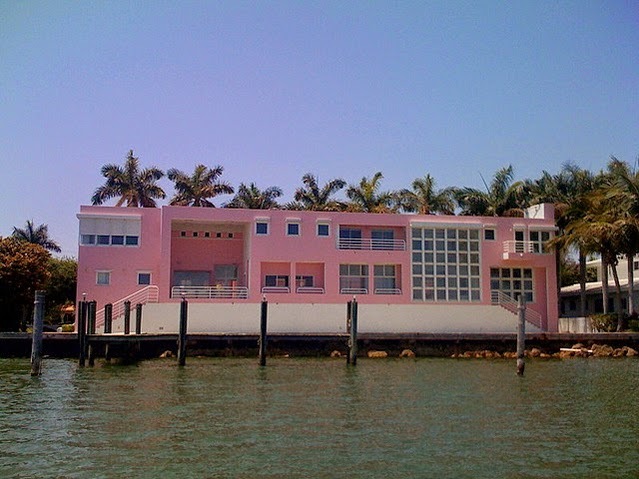 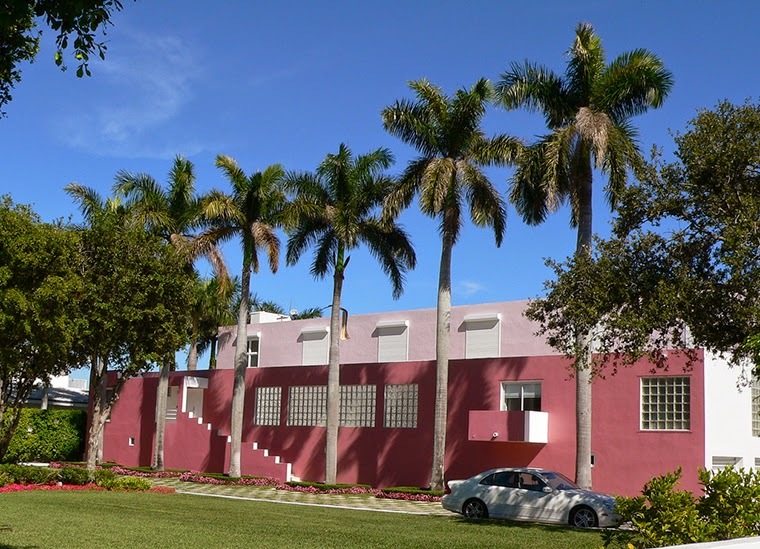 Located on Biscayne Bay shore, the structure is built from concrete and clad in stucco painted with different shades of pink from powder pale to vibrant rose. 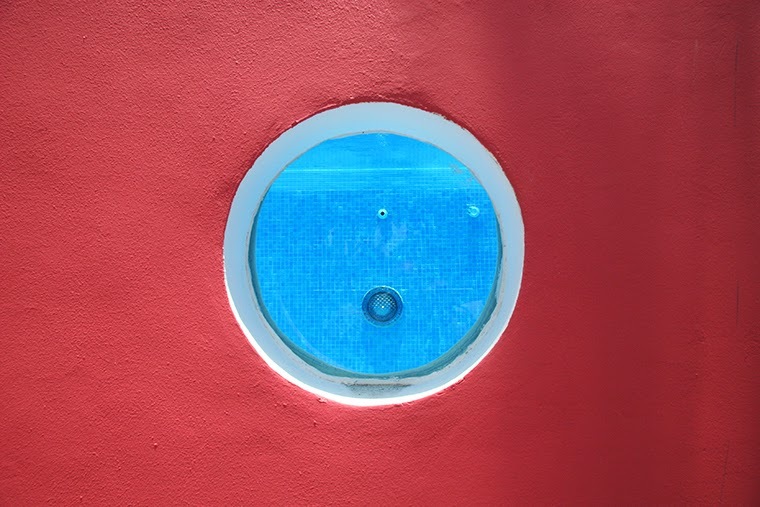 The road-side aspect of the villa has been designed as a walled entrance courtyard where the central feature is a long internal swimming pool, visible on the front elevation by a single porthole window into the swimming pool itself. 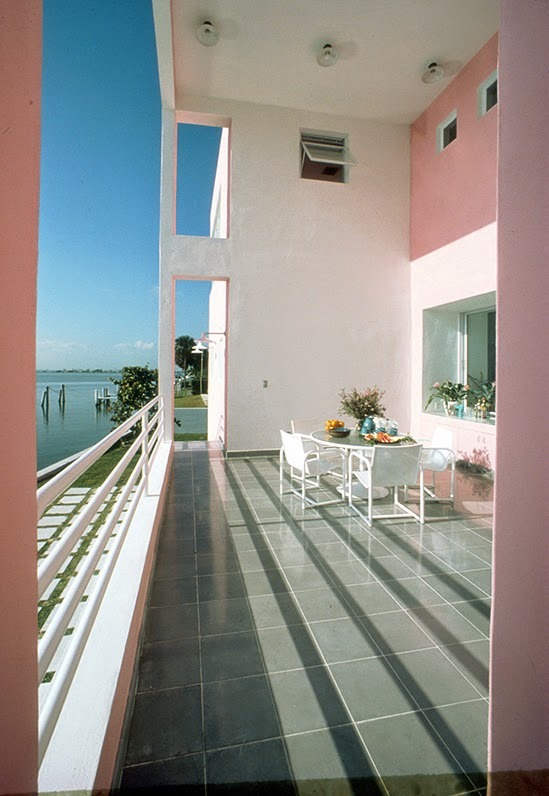 Conversely, the opposite elevation on the seafront is defined by its relatively flat, block façade which is enlivened by a raised private promenade and inset balconies, glass-block windows and a sheltered terrace. 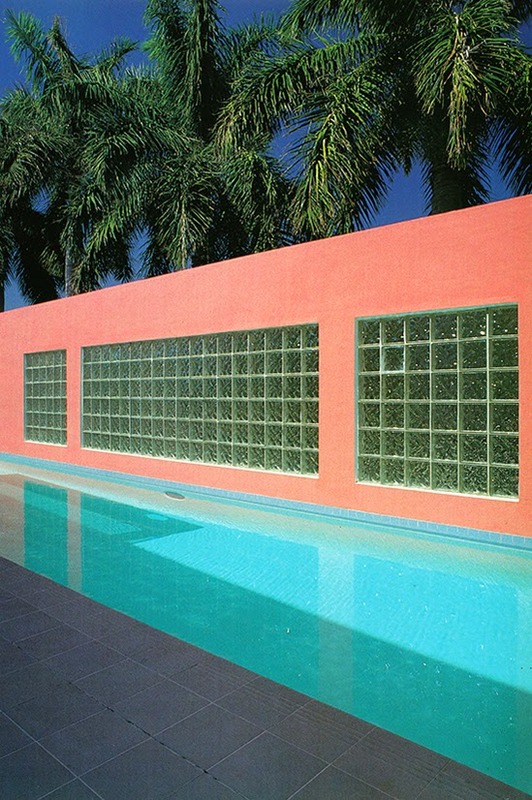 The practice has been remembered primarily for its daring use of colour and innovative geometric forms.